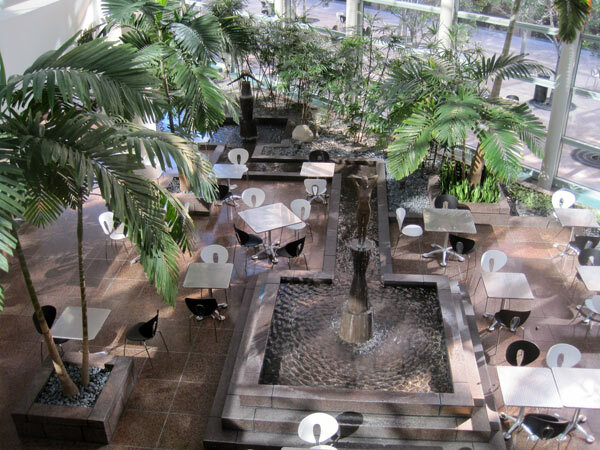 Completed in 1983 with architects Skidmore, Owings & Merrill and sculptor Robert Graham, the space is Halprin’s only atrium design. 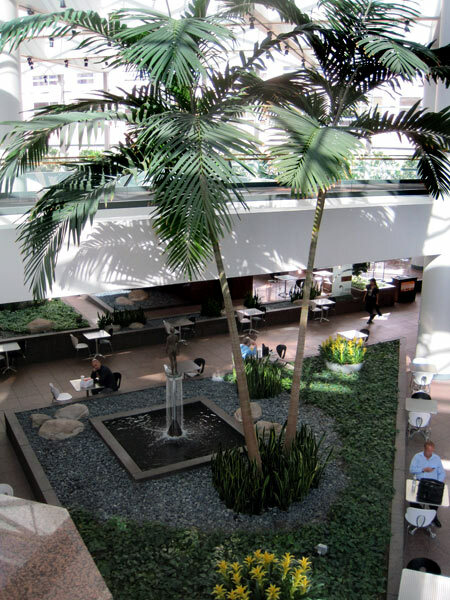 Conceived with developer Robert Maguire as “an urban, indoor Garden of Eden,” the interior public space was designed to display Modernist sculpture. 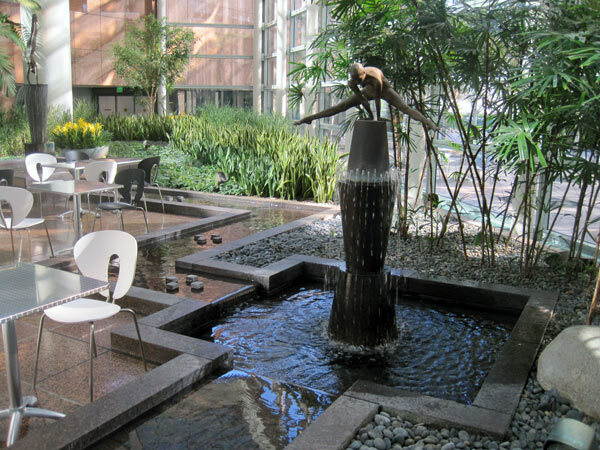 It is the only Halprin project where the landscape design, including the fountain, is subservient to the sculpture, in this case designed by Robert Graham (with whom Halprin later worked on the FDR Memorial) and other artists, including Joan Miro and Jean Dubuffet. 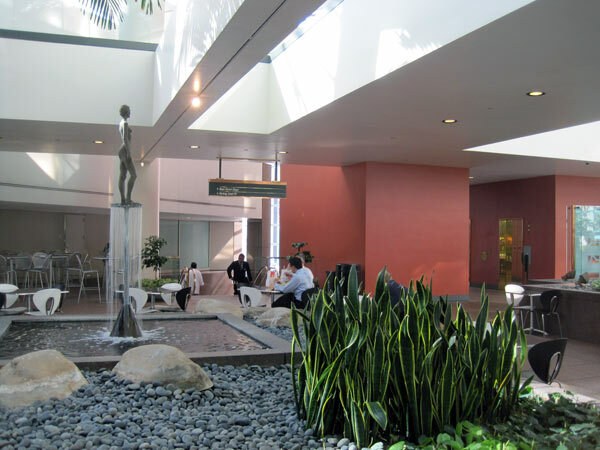 Reminiscent of Halprin’s earlier residential commission for the McIntyre garden in Hillsborough, California, the fountains, channels, and runnels provide the sound of running water throughout the garden. 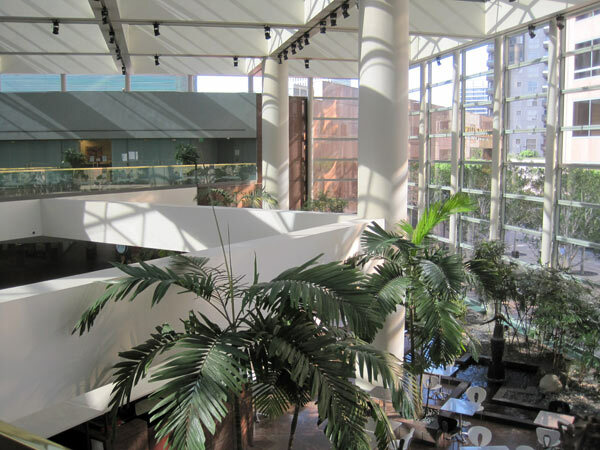 Although many of the plants have been changed in recent years, they were originally planted in varying sizes and scales with the intent of humanizing everything in the room. 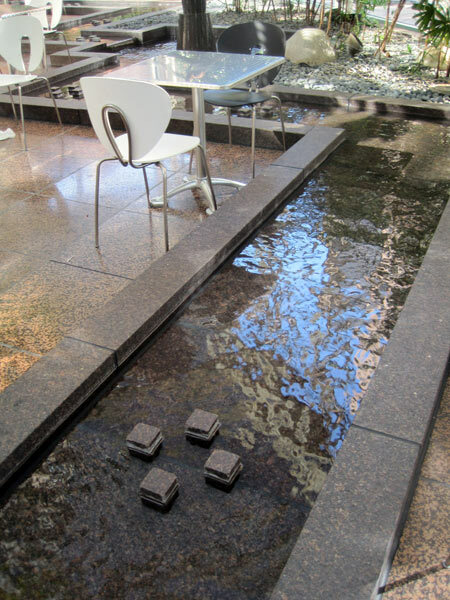 With this illusionistic goal in mind, Graham was commissioned by Halprin to create four sculptural centerpieces for the fountains. 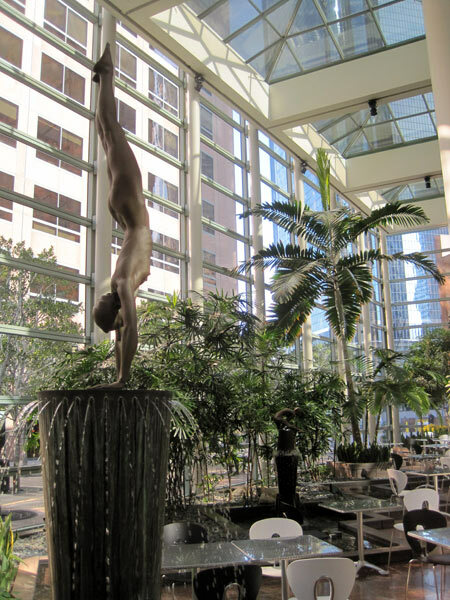 Each sculpture is of the same athletic female figure in different gymnastic stances, slightly smaller than life-size. 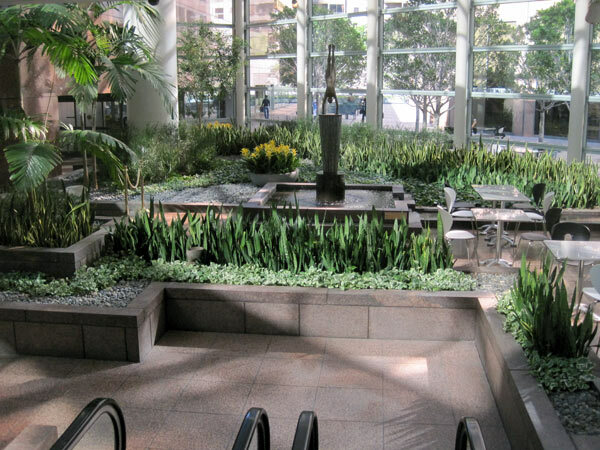 In recent years the plantings have been significantly altered, but Halprin’s design remains largely the same.